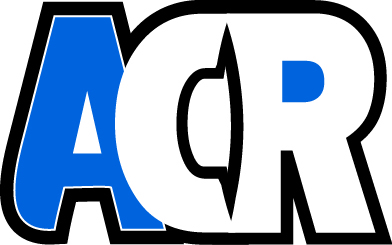 ~ Those arriving on July 13 meet in the lobby at 6:30 p.m. for ACR group dinner! SESSIONS START PROMPTLY AT 1:00 p.m. SESSIONS BEGIN PROMPTLY AT 9:00 a.m.
~ Dinner provided by our friends at Thomson Reuters. The Flying Saucer. 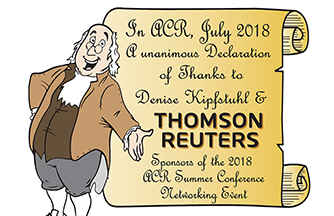 RSVP RSVP Denise at denise.kipfstuhl@thomsonreuters.com.